The Chestnutland Company has debuted it newest Auntie Annes location. 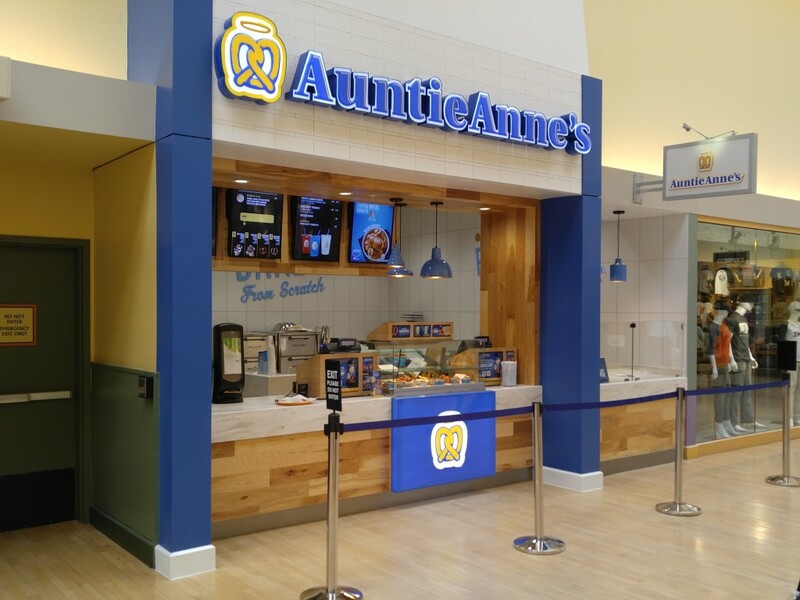 We are pleased to offer Auntie Anne’s famous, fresh-baked pretzels at Great Lakes Crossing Outlets located in Auburn Hills, Michigan. This beautiful, in-line location is ready to set you up with a fresh, warm pretzel and ice cold drink. They’re perfect companions while exploring all of the premium shopping experience at Great Lakes Crossing. Stop by and say hi!